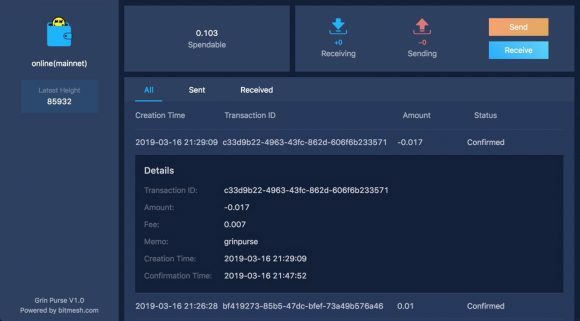 One of the major issues with the GRIN project has been resolved – the lack of an easy to use GUI wallet for Windows users… and there is more than one option available. The design of the Grin project does not rely on using addresses like we are used to with most other crypto currencies as a means to send and receive coins and that makes transfers a bit more complex. The GrinPurse project is not an official wallet, but a third party project that has been available for a bit already as closed source software developed by a crypto exchange, though the source code has now been made available as well. GrinPurse is not only available for Windows users, but also for Mac OS users. GrinPlusPlus (Grin++) is a bit more complex project that offers a complete Windows-compatible C++ implementation of the Grin (MimbleWimble) protocol meaning a full node and a GUI wallet for Windows users. More advanced users and ones that want to be able to run their own local node along with the GUI wallet on Windows can opt out to try this particular project that has been available for a few days as a mainnet release. Now not only more advanced Linux users, but also regular users are able to easily use their own wallet and not rely on exchanges to store their Grin coins. 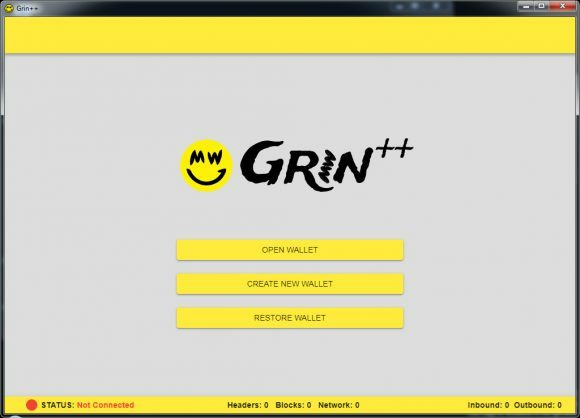 It is worth mentioning that BitGrin, a fork from Grin, has released an official GUI wallet for Windows and Mac OS users last month for their project and that has sparkled some controversy why Grin still does not offer an official GUI wallet (they still do not). Mac OS users had a solution for a while for a simple GUI wallet in the fork of the SuperGrin Wallet released back in February.